Prolotherapy for neck pain is a truly alternative form of injection therapy that uses the body’s own healing response as a mechanism to reduce pain and cure injury. Prolotherapy continues to grow in scope of therapeutic indication, with more doctors utilizing the procedure in an attempt to be increasingly holistic in their treatment philosophy. Proliferation therapy, also called sclerotherapy, has been both praised and criticized in the traditional medical system and in the wider healthcare sector. Although many patients cite positive experiences, there remain many unknown variables about the factors that actually contributed to these generally beneficial reports. Likewise, in cases where negative outcomes are cited, there is often an underlying lack of logic for patients to suffer the types of symptoms that followed prolotherapy injection treatment. This important essay examines the current state of prolotherapy in the neck pain industry. We will define the practice and describe its most common indications for use. We will also provide some interesting facts about prolotherapy that every patient should know before considering these injections as possible solutions for their own pain problems. What is Prolotherapy for Neck Pain? 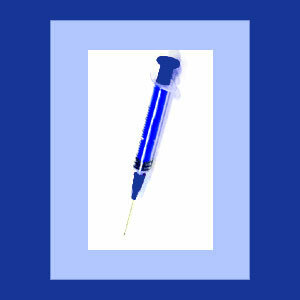 Proliferation therapy injections are minimally invasive treatments that are nonpharmaceutical. This means that they do not introduce drugs into the anatomical system. Instead, they are composed of sterile water and sugar or some other form of irritating substance, such as sterile cod liver oil. Proliferation injections utilize substances that irritate the human anatomy and therefore result in increased metabolism and the heightening of a natural healing response to the region. This concept of helping the body to heal itself is a growing trend in modern medicine and represents a major step forward from our generally horrific dependence on dangerous drug therapies. Prolotherapy is not traditionally a form of epidural treatment, but instead is given into the superficial tissues of the neck muscles, tendons and ligaments in most applications. However, newer uses have seen deeper utilization of prolotherapy practices for conditions that are spinally-motivated. Originally, the most common use of prolotherapy was during the treatment of ligament laxity problems that affected areas of the sacroiliac and sacral spine. The natural irritant qualities of the injections were found to tighten the lax ligaments without surgery or drug utilization, making for a perfectly effectual therapeutic intervention with very little risk. Since the injections performed well in this role, it was only a matter of time before doctors started trying them elsewhere and for a wider range of causative diagnoses. We see many injections still used to resolve a wide range of muscular, tendon and ligamentous problems in the neck and elsewhere. Indicated uses include common strain, postsurgical healing of connective tissue reattachment, RSI and whiplash. More controversial uses for prolotherapy include those injected directly into degenerated and/or herniated intervertebral discs, those injected into arthritic facet joints and those which might be used for other dorsalgia-related indications. There has already been wide ranging exploration of new possible uses for prolotherapy and this trend is likely to continue for the conceivable future. We have always found prolotherapy to be interesting and promising, since it is nonpharmaceutical in nature and can provide excellent results for indicated conditions. However, since the range of application has grown so much in such as short timeframe, we are now dubious of many of its utilizations, especially those geared towards cervical intervertebral discs. We believe the most promising uses for prolo injections in the neck are for known soft tissue pathologies and possibly for RSI conditions. Beyond these applications, we will not provide any opinion, as the facts of efficacy are simply not clear at this stage. However, we will certainly caution patients that some caregivers who provide these services are suspect in their credentials and expertise. Many operate on the fringe of accepted medical practice and some are not even physicians. We have witnessed some very dire complications as results of prolotherapy, including terribly massive infections, a few of which were inside the spinal canal. We have also received many reports of chronic pain post-treatment. Therefore, if considering prolotherapy for any neck pain concern, be sure to seek out more than one qualified opinion and consider the risks involved carefully before agreeing to undergo treatment.